BMW’s latest flagship may be the most complex car the company has ever built, but it takes just half the time to assemble than ‘old-fashioned’ cars. How? The high-end U.S. electric car market will soon have another big competitor. BMW is getting ready to roll out its brand new i3 all-electric vehicle in May, and with a price tag that’s nearly $30,000 less than Tesla’s Model S, it has the potential to be an industry game changer. The Motor Report in Australia is – uh, reporting that BMW’s newest electric city car, the i3, has had its launch debut delayed due to very high demand worldwide. FRANKFURT (Reuters) – Germany’s BMW said it saw strong demand for the i8 hybrid sportscar which will go into series production in April and start customer deliveries in June. BMW’s new era of sports cars will commence in June when the $135,700 BMW i8 plug-in hybrid goes on sale. The launch date was announced with minimal fanfare on the BMW USA website, and while examples of the 362hp carbon fiber car will touch down in BMW dealerships, they won’t stay for long as every one is allegedly already spoken for. 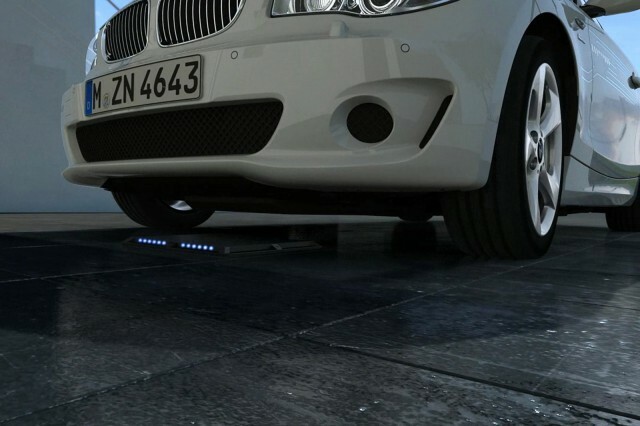 With awareness of the 2014 BMW i3 battery-electric car starting to rise–it will arrive at dealers in late April or early May–it’s sometimes easy to forget that BMW has a second plug-in car following close behind. And unlike the i3, whose looks are controversial, there’s very little debate over the design of the 2015 BMW i8 plug-in hybrid sport coupe. The Winter Olympic games in Sochi, Russia, are now underway, and official partner BMW is using the games to promote its two plug-in offerings, the i3 and i8. Three different commercials will be broadcast during NBC’s coverage of the games, focusing on different aspects of the BMW-i lineup. Much has been said and lauded about the new BMW i8 plug-in hybrid sports car; from its aerodynamically groundbreaking body design, stylish and luxurious interior and industry-first laser headlights. This new video explains the other half of the i8’s arsenal – its performance. Bogata is the first Latin American city to roll out a fleet of BYD e6 electric taxis, and CNN’s Nick Parker takes a ride in one. CNN correspondent Nick Parker takes a ride in one of Bogato, Colombia’s new BYD electric taxis and finds the experience enlightening: the car is powerful and quiet. The catch is there are currently only two fast charge stations in the city, with plans to add more. LOS ANGELES — BMW says its futuristic i8 goes on sale by next June, starting at $136,625. 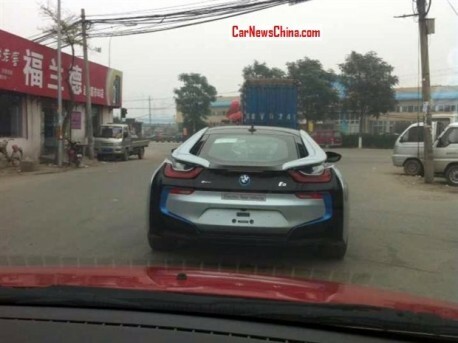 New spy shots showing a BMW i8 test driving and charging on the road in the northwestern suburbs of Beijing. The BMW i8 will hit the Chinese car market in the first half of 2014, China-debut is scheduled for the Guangzhou Auto Show in November. Pebble Beach, California: Bayerische Motoren Werke AG’s (BMW) rechargeable i8 sports car is entering a soon-to-be-crowded field of supercars with a hint of green. While they tap into Tesla Motors Inc.’s popularity, they’re for different buyers. FRANKFURT, Aug 18 — Bayerische Motoren Werke AG’s rechargeable i8 sports car is entering a soon-to-be-crowded field of supercars with a hint of green. While they tap into Tesla Motors Inc.’s popularity, they’re for different buyers. The man overseeing the BMW i8 project says he expects to sell more of the new plug-in hybrid sports cars in the US than in any other market. News of of BMW’s ‘i’ EV sub-brand has been circulating for a while now, or so it seems. There have been spy shots, passenger rides and motor show reveals; now we have the list of dealers that will sell and service the new range of electric BMWs.